A technocrat with management qualifications, having 36 years of experience in the fluid power industry, worked with multinationals, wide exposure to marketing of pumps/valves and allied products in India and abroad, publishing Pumps India magazine for the last 25 years, widely circulated in India & abroad. Magazine has won awards for best presentation, coverage & circulation. His several articles are published in Indian & foreign journals. Traveled abroad extensively, Germany, China, Singapore, Malaysia, Indonesia, Hong Kong, Thailand, Dubai, Abu Dhabi, Bangladesh & Nepal etc. 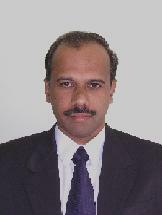 Dr. M. D. Agrawal is presently Principal, Acropolis Institute of Technology, Indore. R Muruganantham obtained his B.E(Hons)from NIT Trichy and M.Techfrom IIT-Madras. He started his career in Audco India Limited(now known as L&T Valves Limited), Chennai as an Engineering Trainee in R&D department. The company sponsored him for an M.Sc course in Valve Design and Technology in Cranfield University, UK. 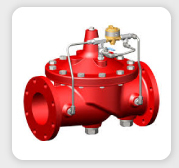 He has over 30 years of experience in design and development of industrial valves. 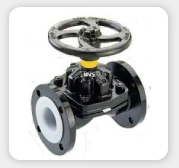 He has rich expertise in Gate, Globe, Check, Ball, Butterfly and Plug Valves for various applications. He was involved in API 6A valves, Wellhead and Christmas Trees. He also developed many high pressure valves used in super critical power plants. He was very actively involved in development of many critical valves used in most of India’s nuclear power plants. 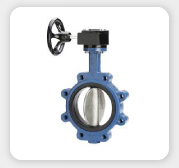 He is quite versatile in functional testing of valves – Endurance Test, Fire Test, Cryogenic Test, Fugitive Emission Test, Flow, Seismic test, etc. He has good exposure to Quality Assurance and Quality Control and was actively involved in ISO, API Monogram, CE and ATEX certifications and the prestigious N and NPT stamps for Nuclear Valves. He has published five international research papers and has been granted 11 patents. 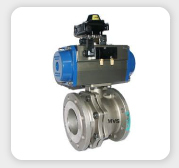 He is an ASME Authorized Training Instructor for Valves in India and has conducted many training programs on valves.